MPavilion 2017, designed by Rem Koolhaas and David Gianotten of OMA, has been gifted to the people of Melbourne and will be relocated from its temporary site at the Queen Victoria Gardens to its new home at Monash University, Clayton. According to Naomi Milgrom, founder of the Naomi Milgrom Foundation, the relocation of MPavilion 2017 to Monash University ensures it will continue to be a dynamic incubator where ideas about architecture, design and creativity are encouraged and nurtured. Work on the installation of MPavilion 2017 at the Monash University site has begun. Monash University president and vice-chancellor, professor Margaret Gardner, says the MPavilion will be located at the front entrance of the Clayton campus near the new Learning and Teaching Building and close to public transport and parking. 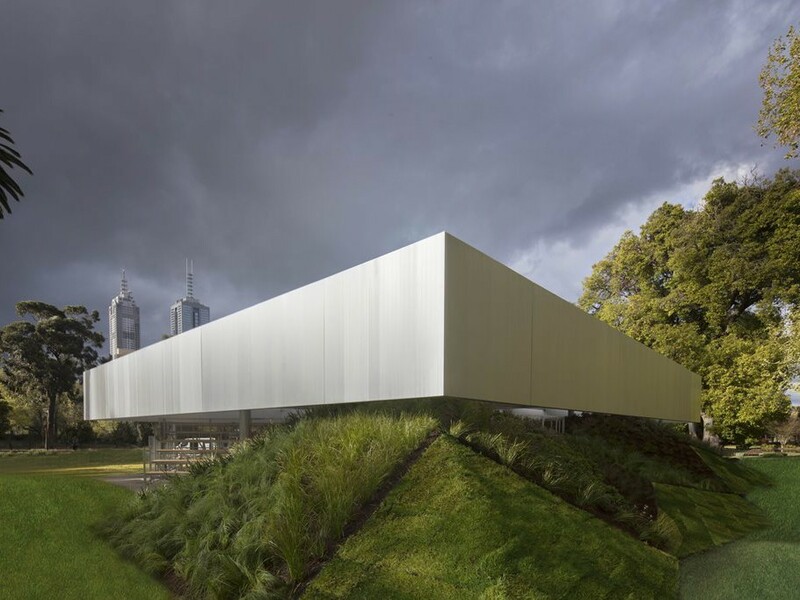 The acting lord mayor of the City of Melbourne, Arron Wood, says he is pleased that the relocation of the fourth MPavilion will provide yet another high profile site in keeping with its predecessors. As part of the Naomi Milgrom Foundation’s ‘Architecture in the City’ strategy, each MPavilion has been gifted to the city following its season in the Queen Victoria Gardens. MPavilion 2014, designed by Australian architect Sean Godsell, permanently resides in the gardens of the Hellenic Museum; MPavilion 2015, designed by British architect Amanda Levete of AL_A, is located at a park on Collins Street, Docklands; and MPavilion 2016, designed by Bijoy Jain of Studio Mumbai, India is now in Melbourne Zoo.